Yes, you have read that correct! Denmark operates a 0% import VAT rate on certain aircraft. This is only of benefit to private purchases, where in normal circumstances you would not be able to re-claim the import VAT in the UK. A private individual, who is resident in the UK or any other EU member state, is entitled under EU law, to choose which EU member state to import their aircraft. There are rules which need to be adhered to, in order to take advantage of this situation. EU legislation states that goods, including aircraft must be declared to the Customs authority, at the first point of entry in the EU. You must therefore, land in Denmark, directly from a point outside of the EU, eg Iceland. A stop off in Scotland for fuel, would result in you having to declare the aircraft in the UK. 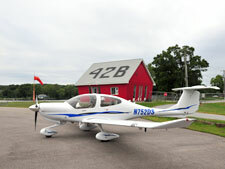 To import your aircraft into Denmark, prior authorisation must be obtained from Customs. This will allow the import to take place there, and also relieve you from paying the Customs Duty. We can make this application on your behalf, but please be aware Customs warn that this can take up to two months to obtain. In our experience, it takes approximately six weeks. Using this system, title or registration of the aircraft does not have to be changed, and there is no sale/purchase via a facilitating company, and therefore no transfer of funds either. For aircraft arriving in Denmark under their own power, we will arrange to meet you at the Danish airport of entry. We can advise you which airports are able to facilitate this as their local Customs office have previous experience of this procedure. Within a couple of hours of landing, we will have the import clearance paperwork, and you can then proceed with your flight to the UK. 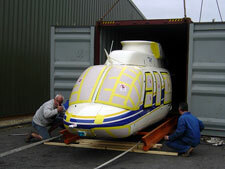 We can also arrange for your aircraft to arrive in Denmark by means of ocean freight. This is normally the domain of the smaller end of the helicopter market, that can be partly dis-assembled and loaded into a container. This is normally the cheapest form of ocean freight. 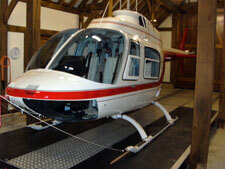 Larger fully assembled helicopters can be stowed on deck, but will require adequate sea water protective covering. This option is also very expensive. Failure to comply with EU Customs import legislation, is a Customs offence and may result in detention and or seizure of the aircraft. A monetary penalty may also be levied, and potentially imprisonment.